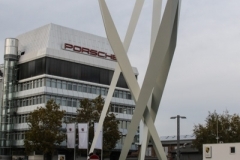 Porsche has always been a name that sounds like a clock. 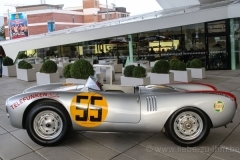 It doesn’t matter where you go, a show, race or concours d’elegance : when cars are involved you’ll always notice that the appearance of a Porsche will make the folks turn their heads towards it, full of admiration. Maybe they just like the looks of the car, or they know about the fabulous list of thousands of ace victories gathered over the decades of existence of Porsche. And most likely, one of the things the majority of the Porsche fans, appreciate so much about the cars, is the typical sound of the flat-4 or flat-6 engines. 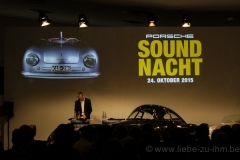 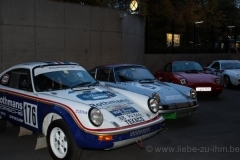 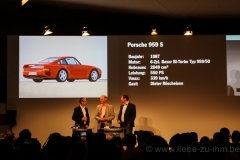 5 years ago, Dieter Landenberger, head of the Porsche archives came upon the idea to bring that particular sound of the Porsches into the attention of a small crowd at the first Porsche Soundnacht at the museum. 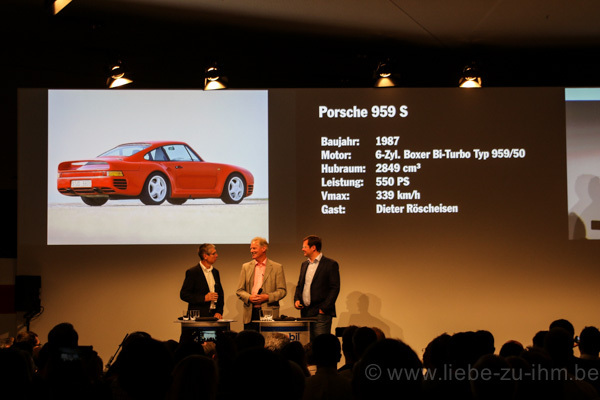 The concept was quite simple. 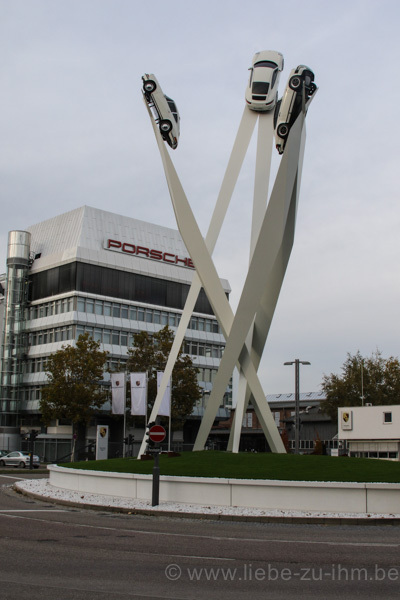 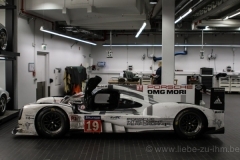 Bring some of the cars of the Porsche Museum to live, start them up in the museum and revv the engines so that for one time, the particular sound of the engine is where the attention goes to. 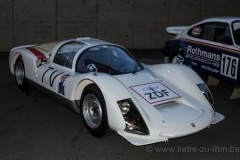 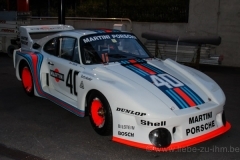 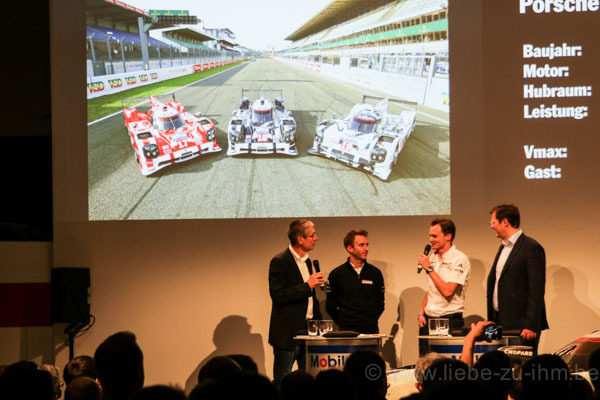 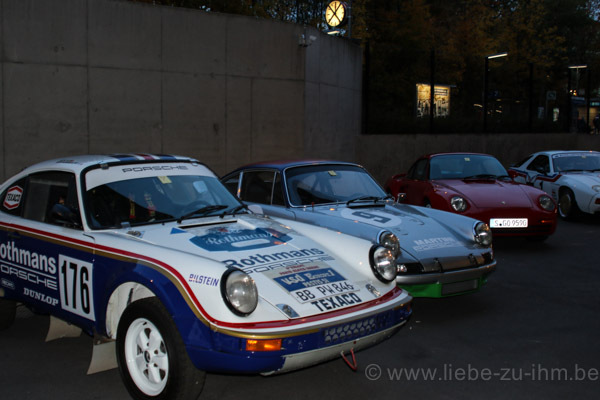 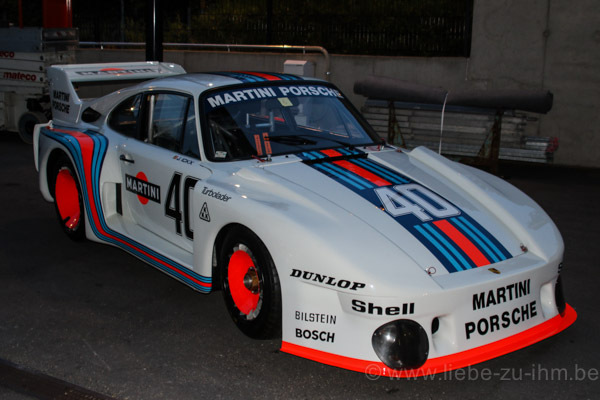 The concept seemed an amazing succes, both to the Porsche Museum as to the audience so the decision to continue this event on a yearly base was made. 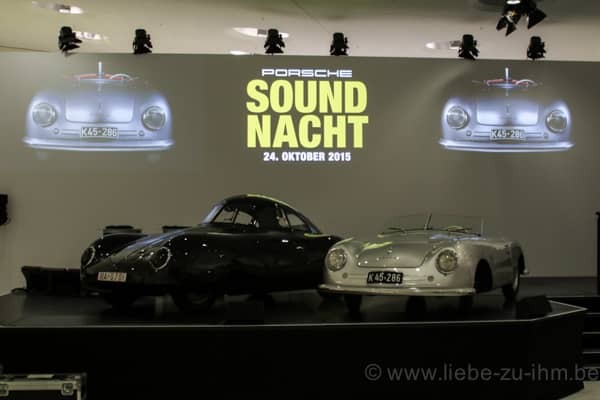 In it’s 5th edition yet, the Porsche Soundnacht was sold out in just a few moments as there’s lots of people that want to be part of this amazing event. Some extraordinary cars were brought to the podium again, each car accompanied by someone who has some interesting stories to tell about that particular car , whether it is about the restoration of the car, the races it drove or just some fascinating stories about the engineering or the pilots that drove the car back then. 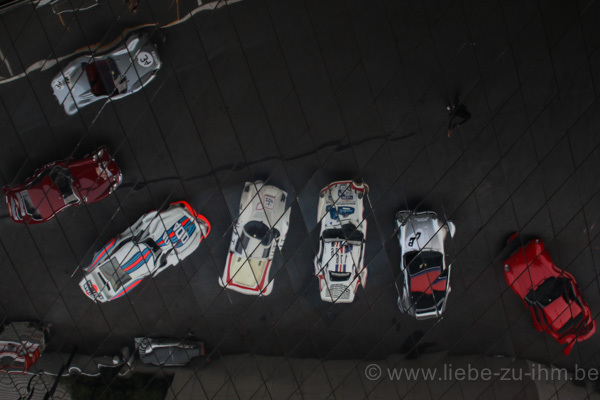 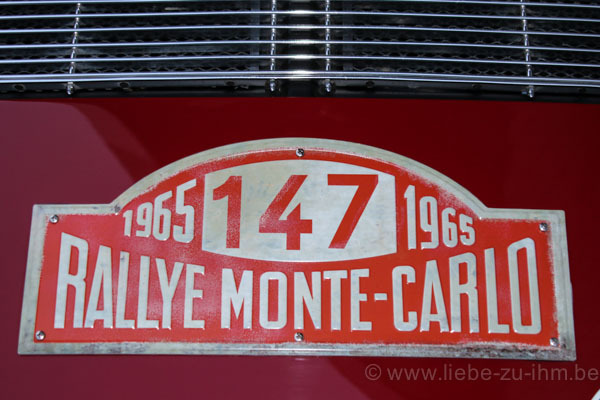 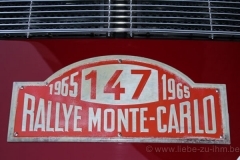 Personalities like Herbert Linge, Hans Herrmann, Gijs Van Lennep, Jurgen Barth came on stage, and made sure the audience had some very entertaining minutes, just moments before the roaring sound of the cars filled the museum. 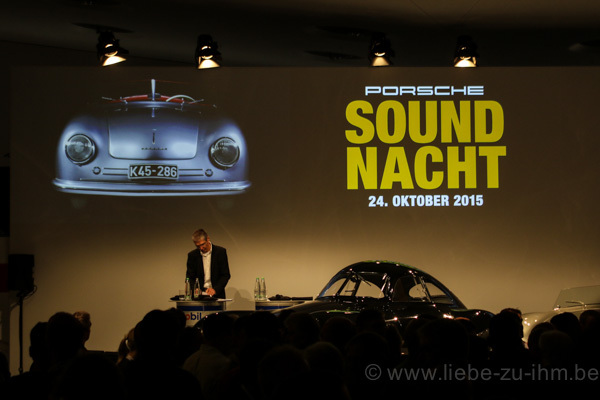 There are no words to describe the evening : just listen to the cars and enjoy.